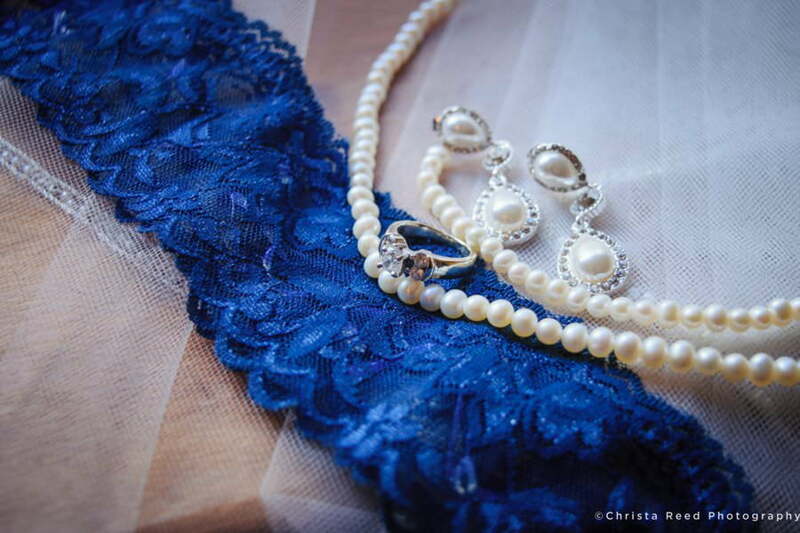 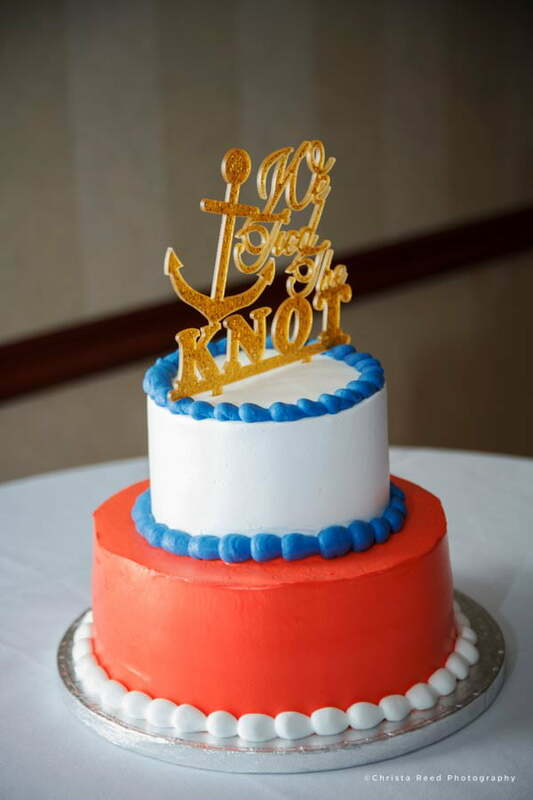 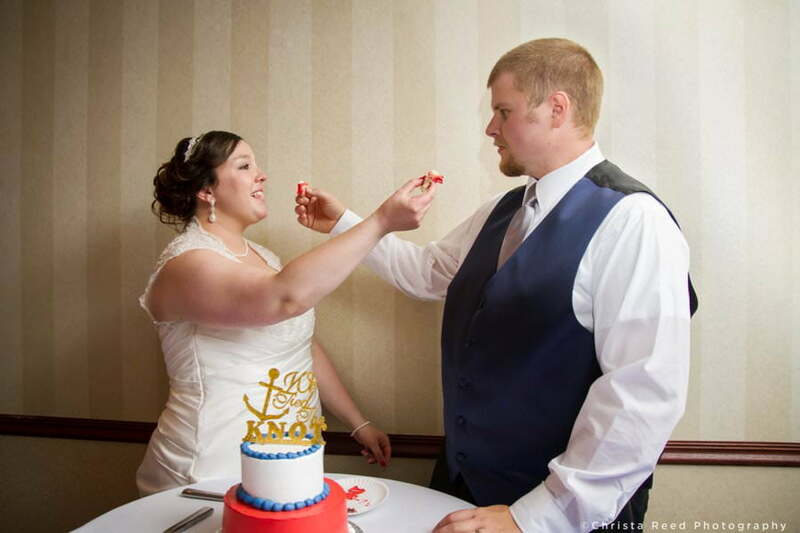 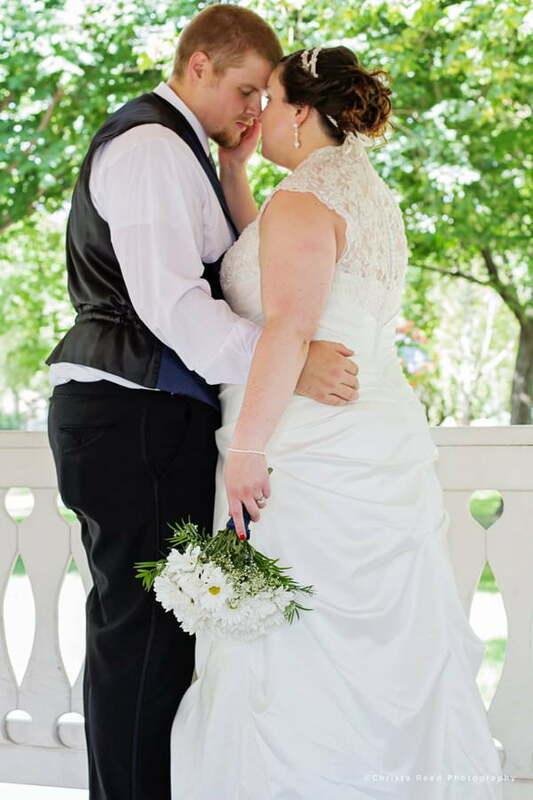 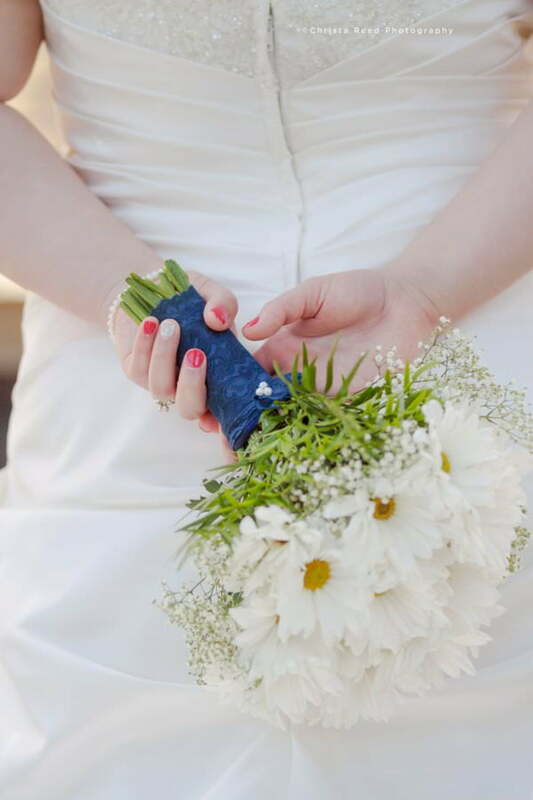 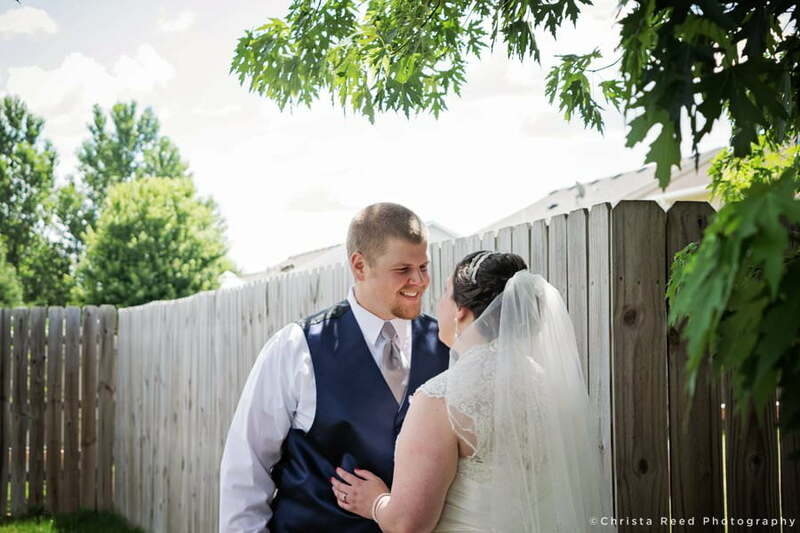 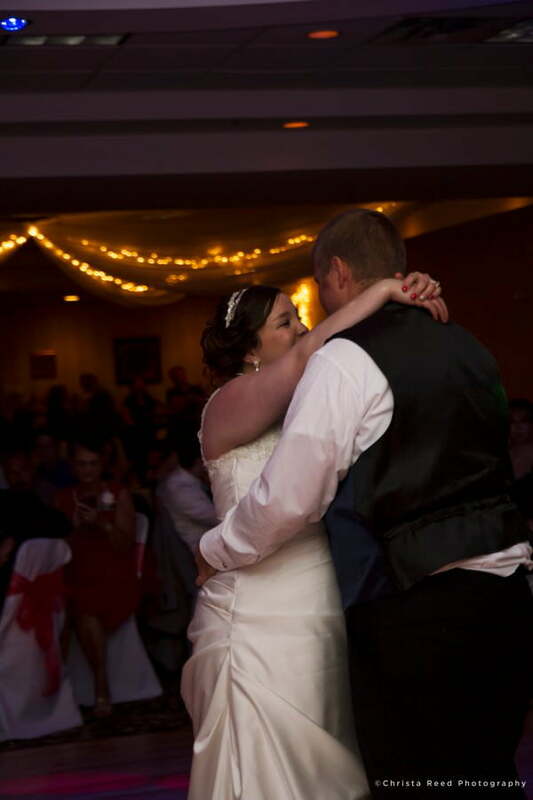 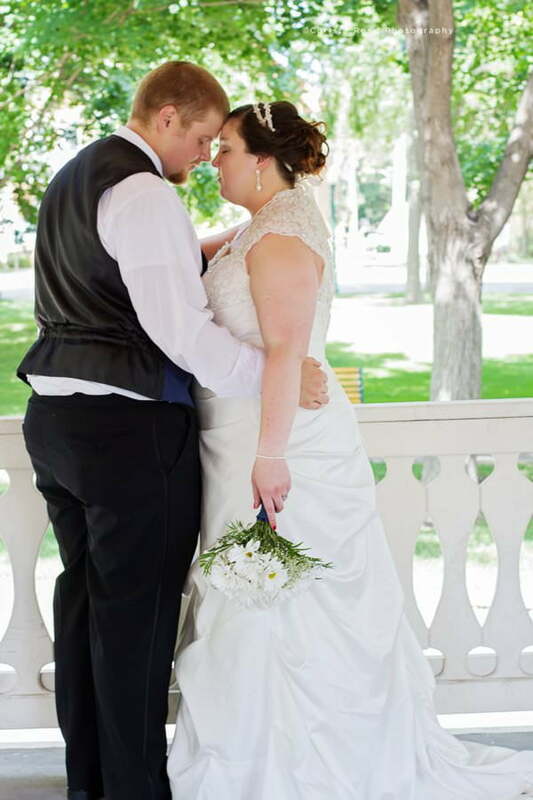 Kayla and Mike had a red white and blue wedding for the Fourth of July. 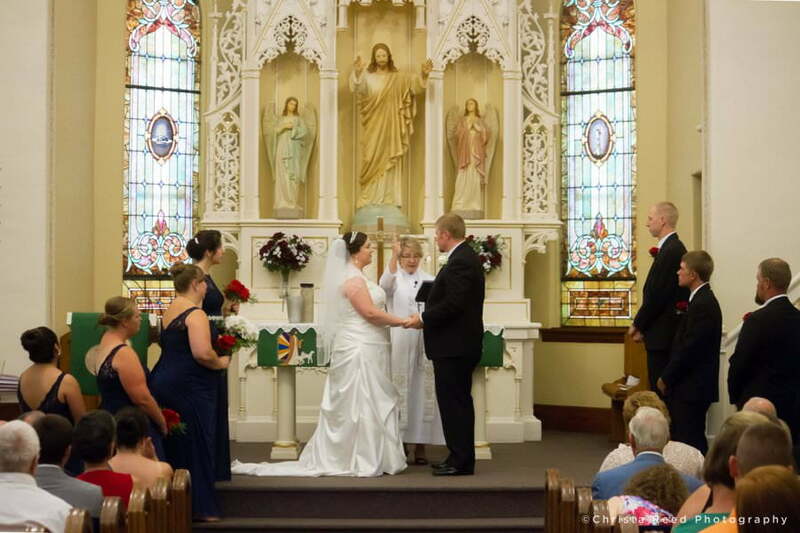 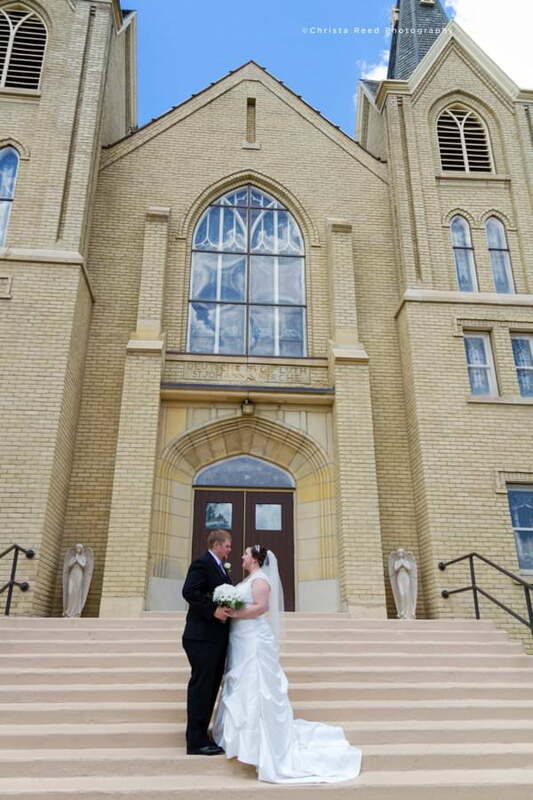 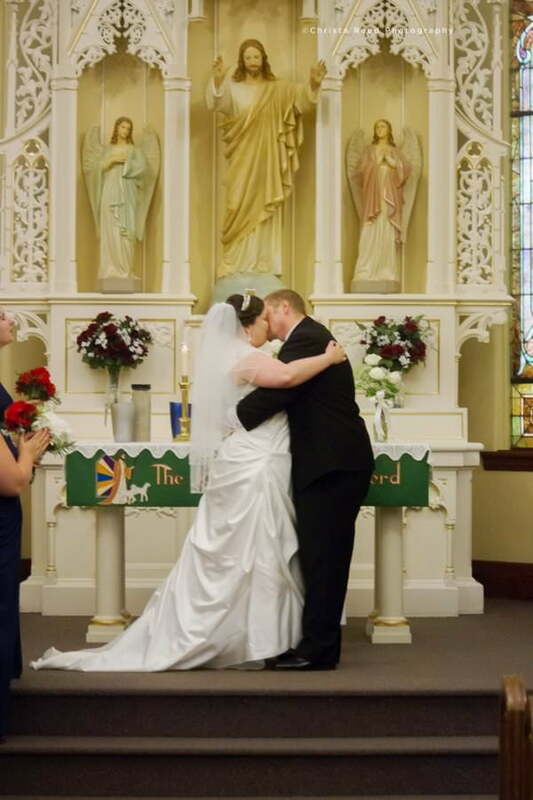 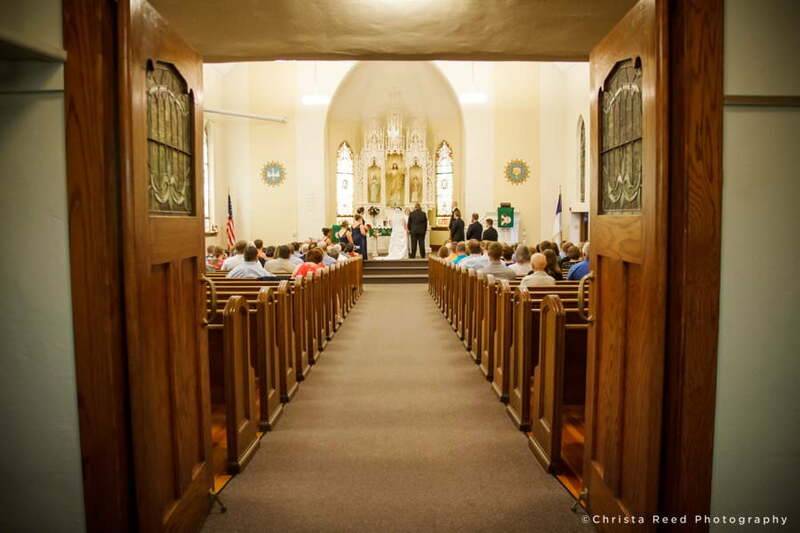 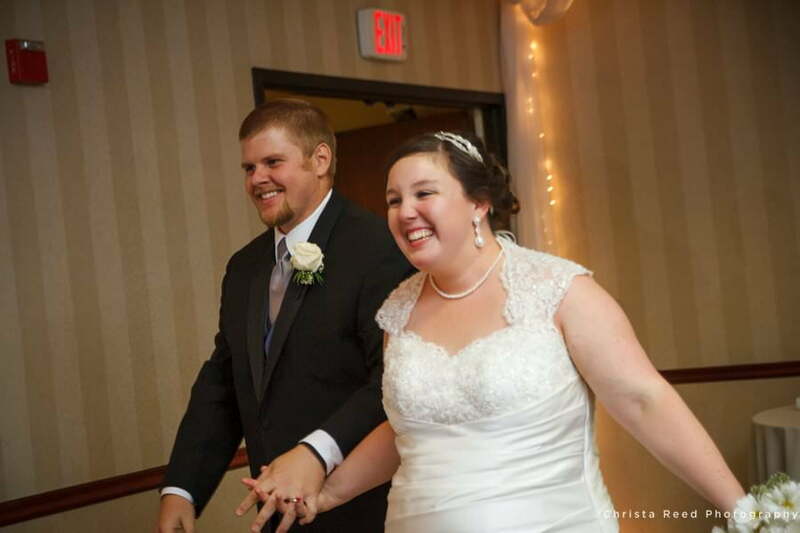 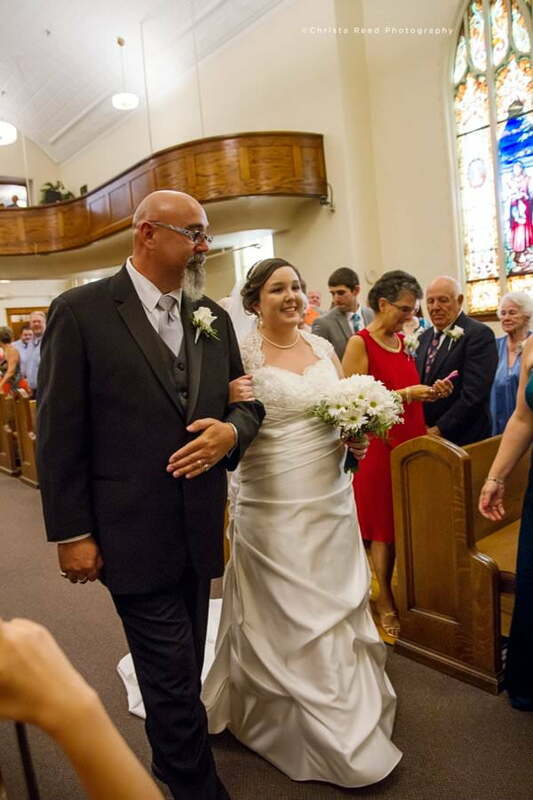 Their ceremony was held at St. John’s Lutheran Church in Belle Plaine. 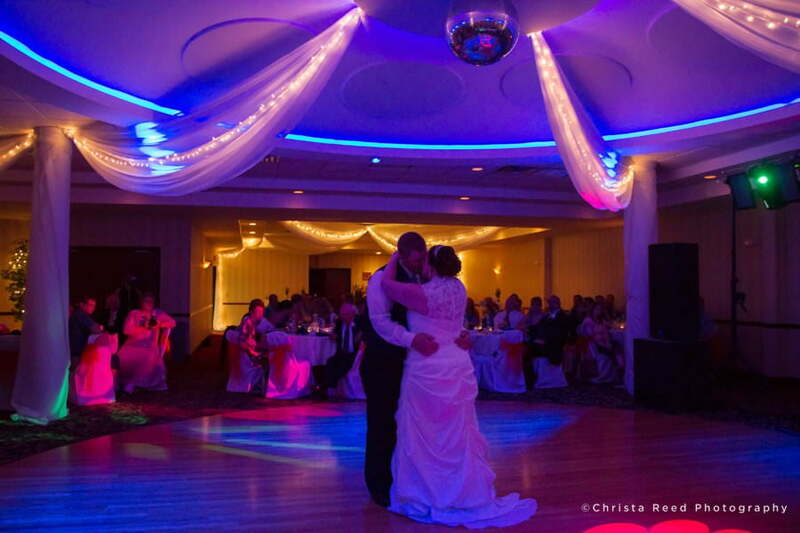 Their reception at Grand Palms in Chaska was an awesome party! 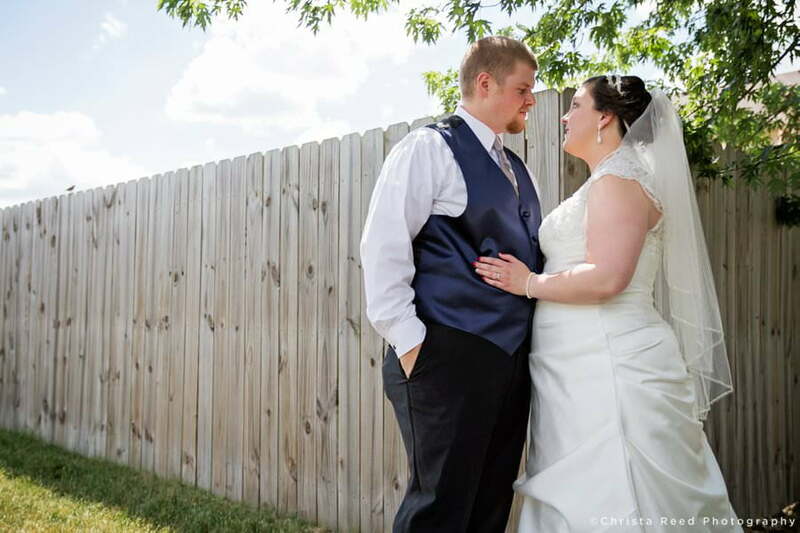 I feel like when they look at these photographs they will be able to hold on to all of the emotions that happened on this beautiful day. 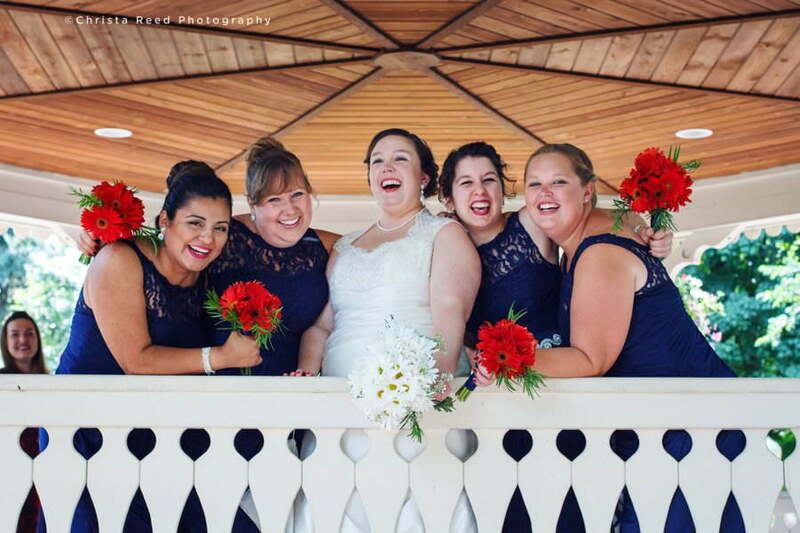 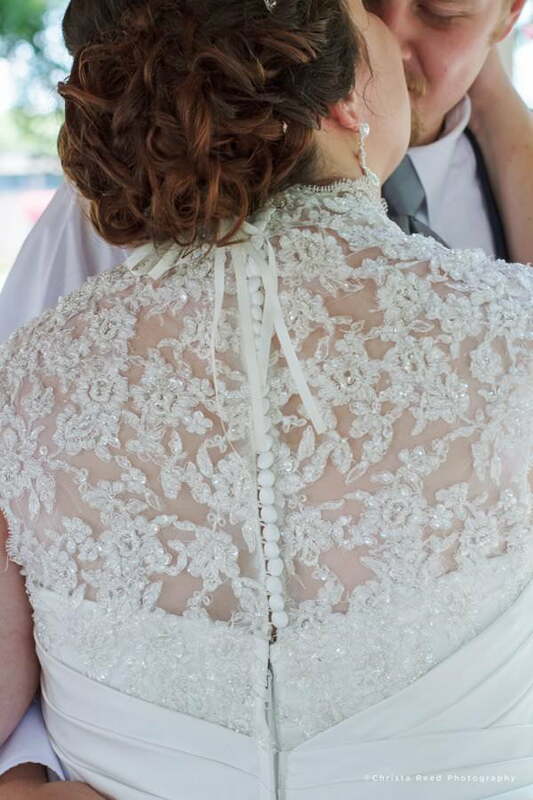 I love that we captured so many beautiful candid moments, as well as sweet posed portraits. 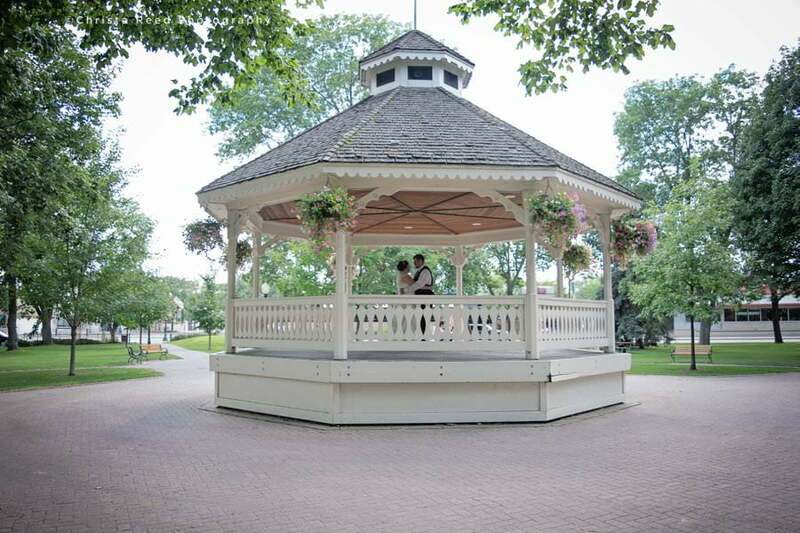 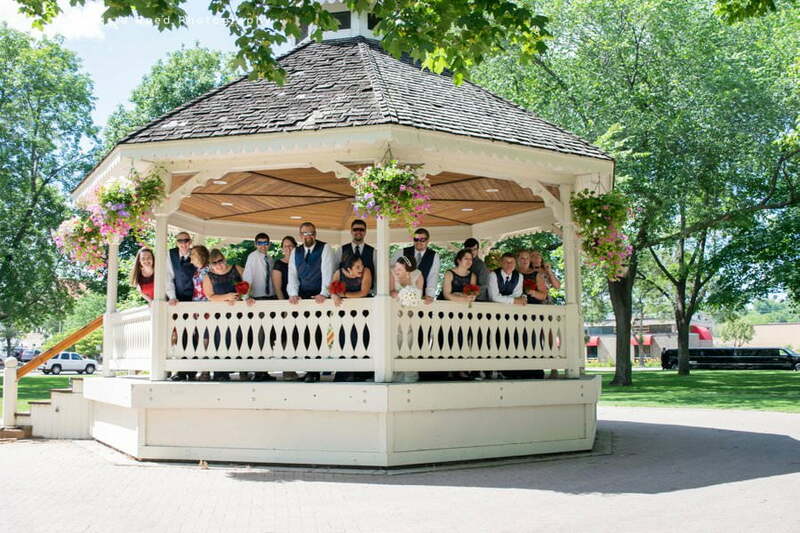 After spending time with the wedding party at the Chaska Gazebo, we all went to the reception together. 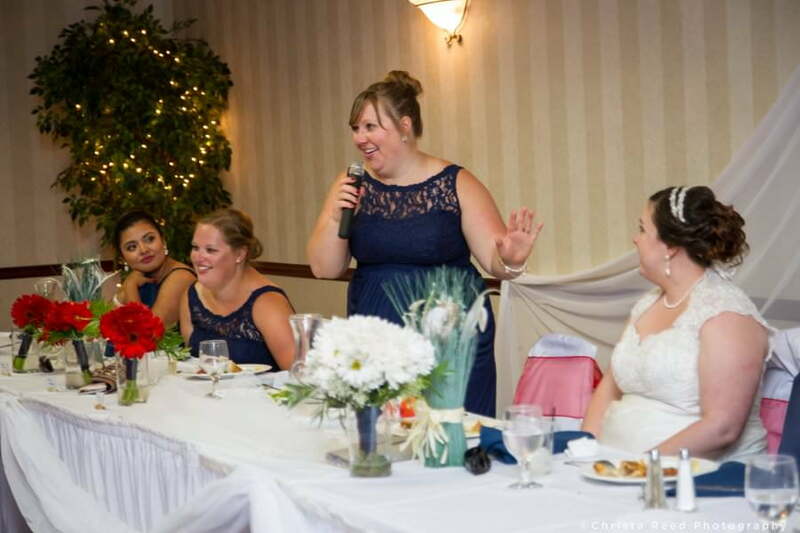 Kayla and Make had a big party that evening! 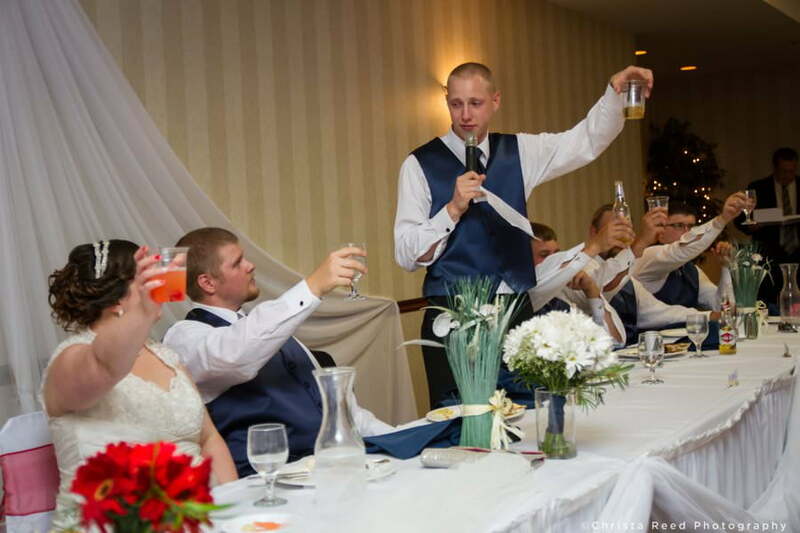 It started with a joyful entrance and continued long into the night with toasts, games and dancing. 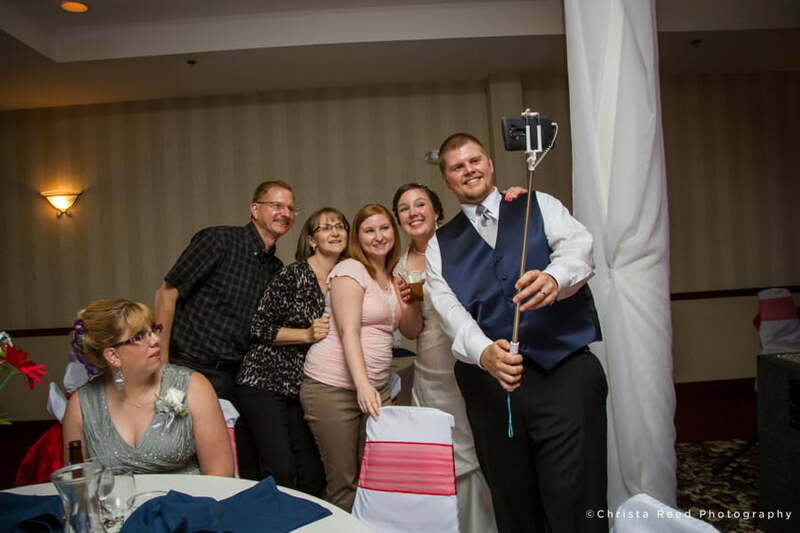 The couple brought a selfie stick to the reception. 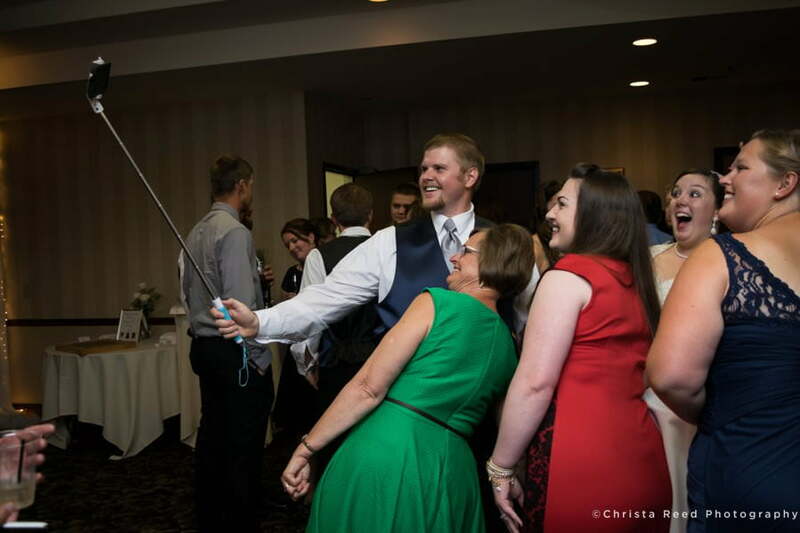 They made sure to spend time talking to their guests and getting selfies with everyone, which made for some fun reception photos. 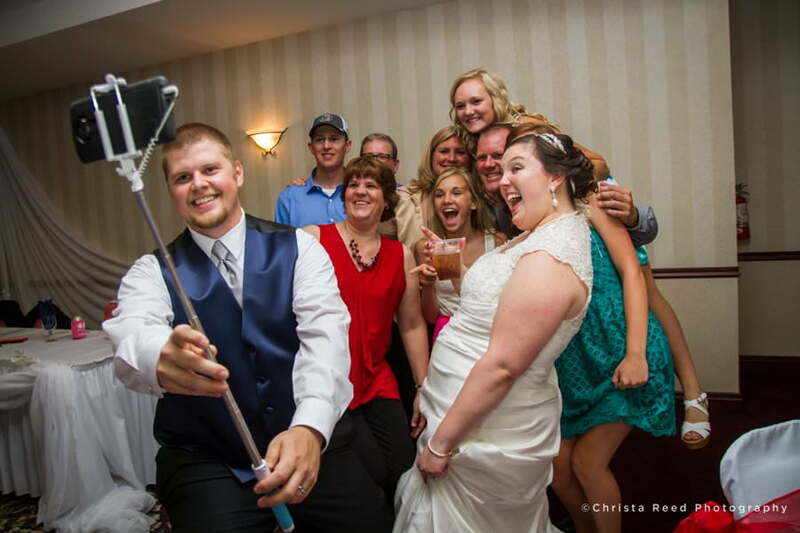 If you want to bring a selfie stick to your wedding reception, do it! 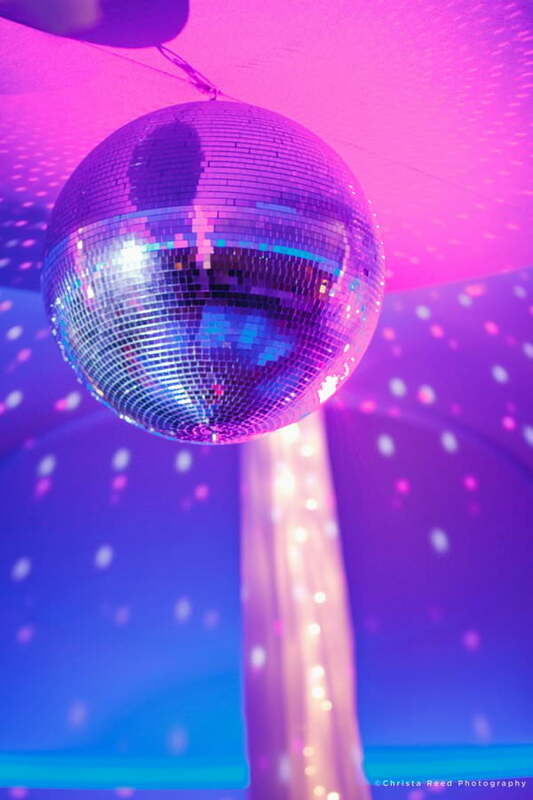 You will have fun! 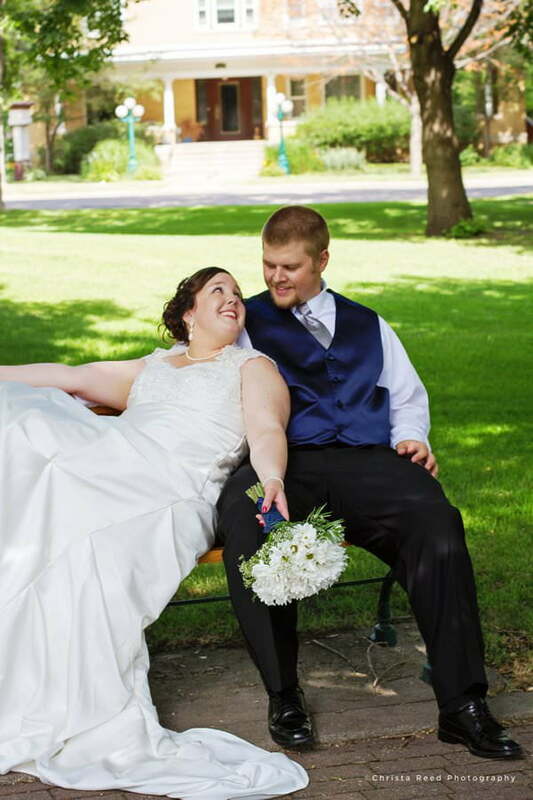 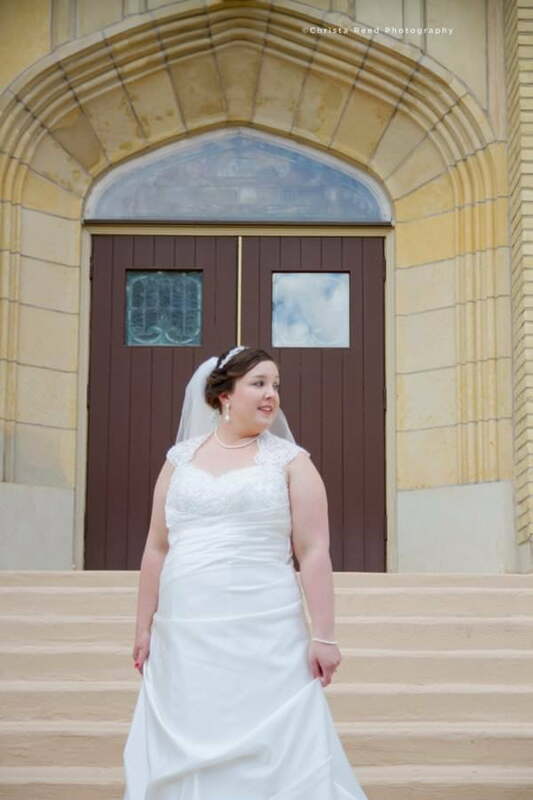 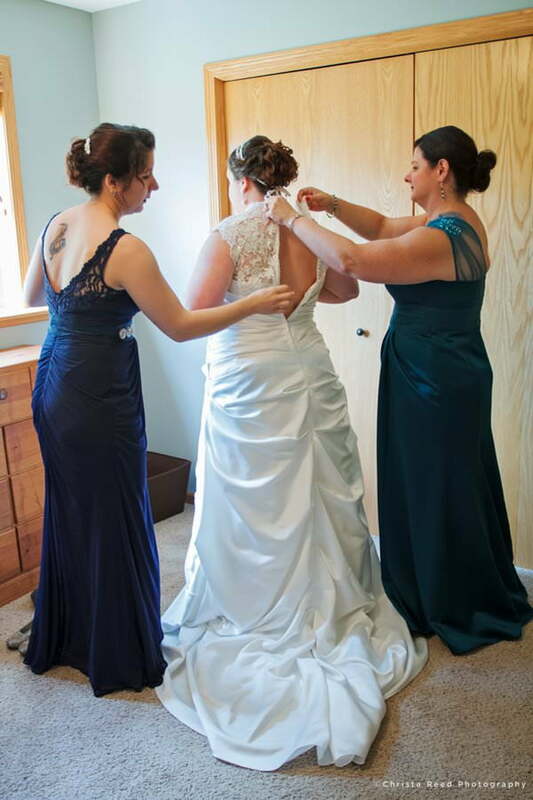 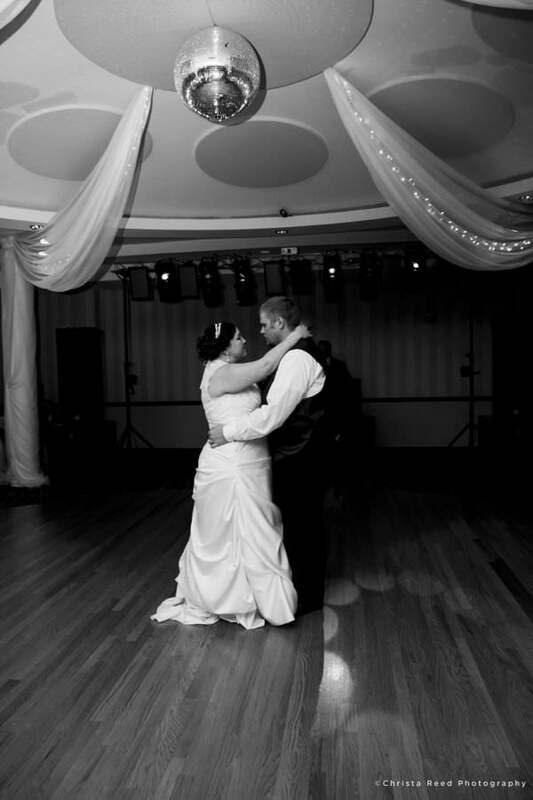 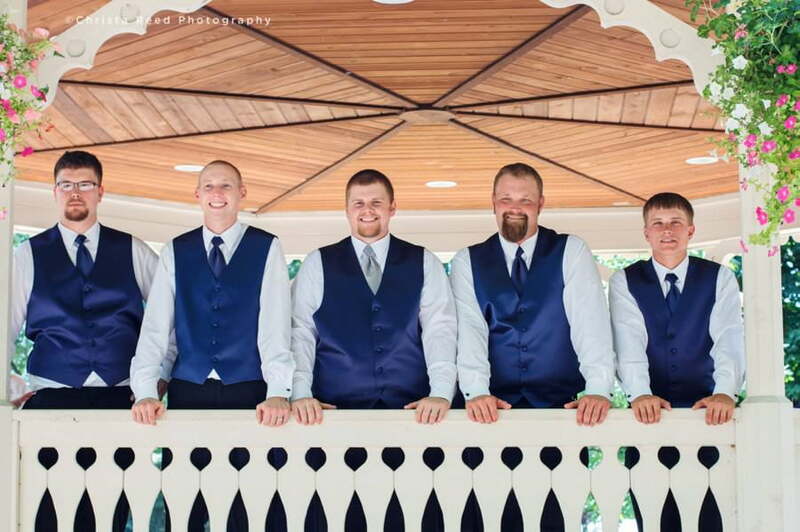 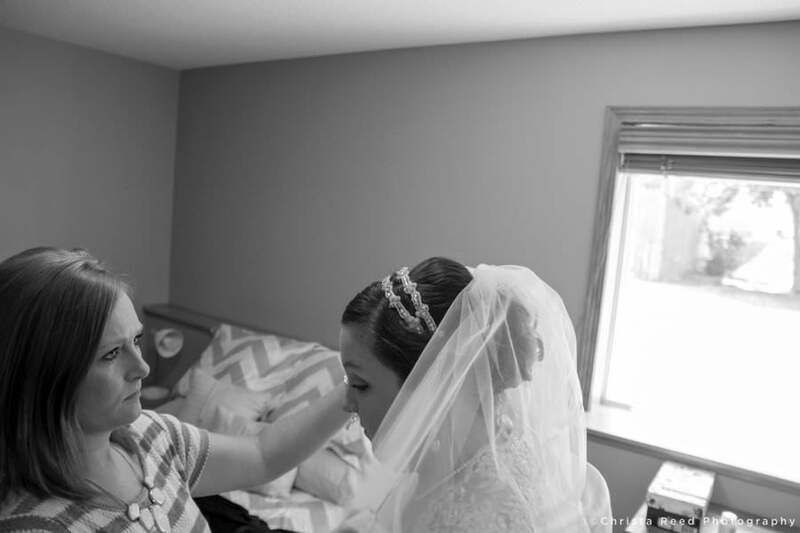 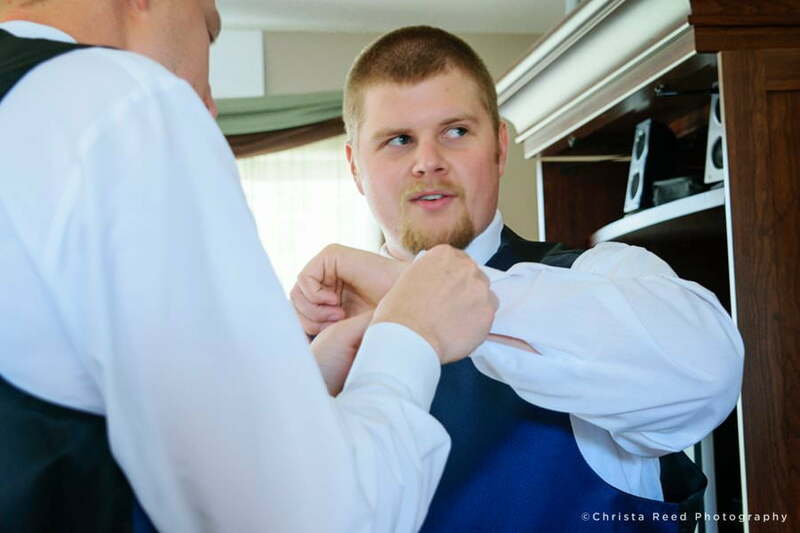 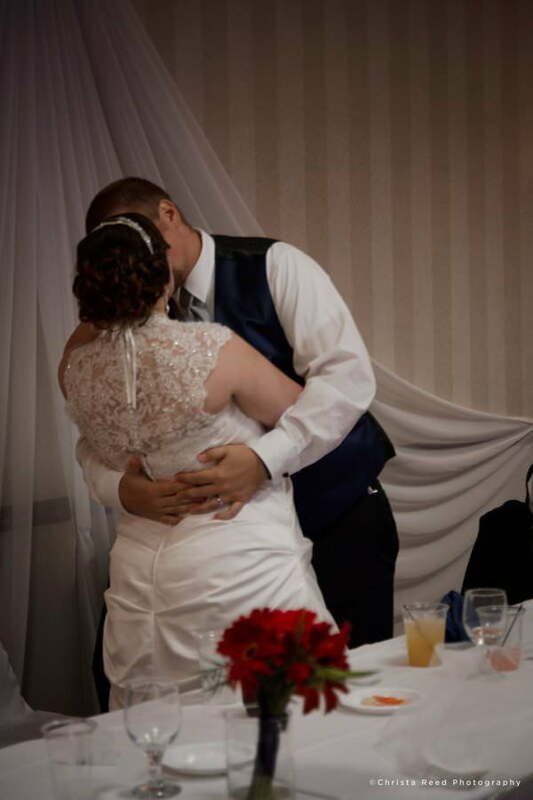 I am a Southern Minnesota wedding photographer located in the Chaska area. 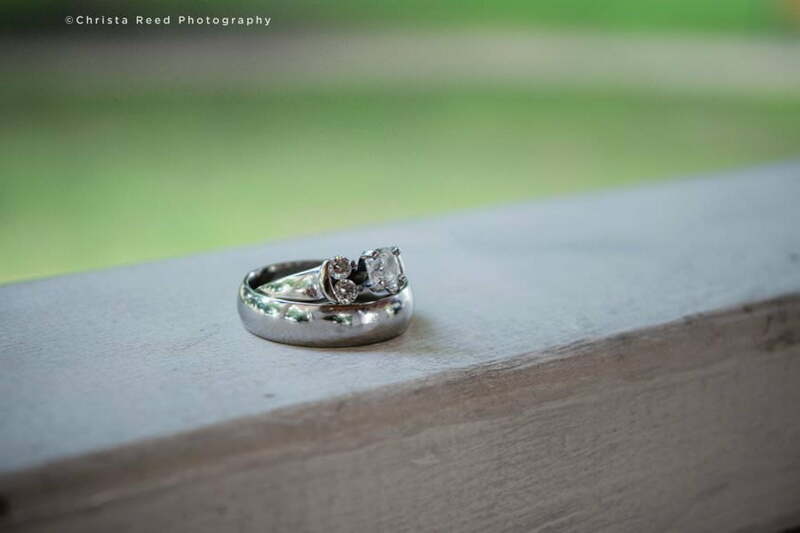 If you’re looking for a wedding photographer, contact me via my contact form to talk about your needs. 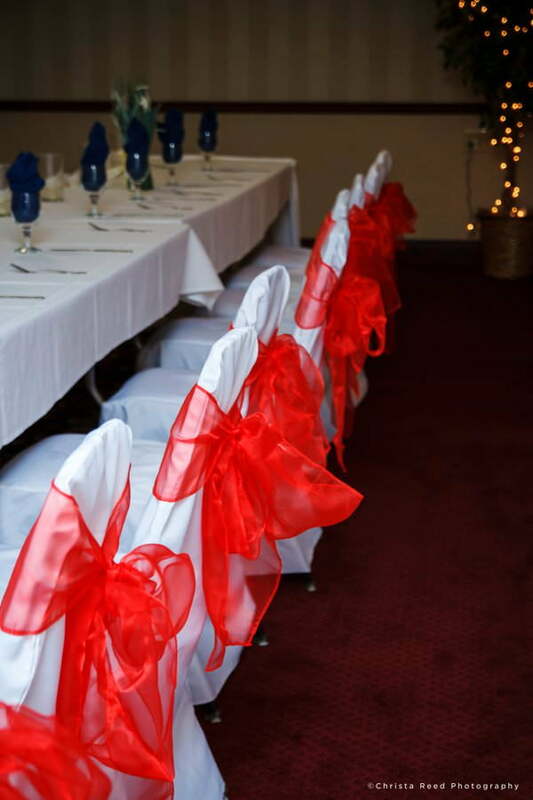 You can view wedding package information on the Info page HERE. 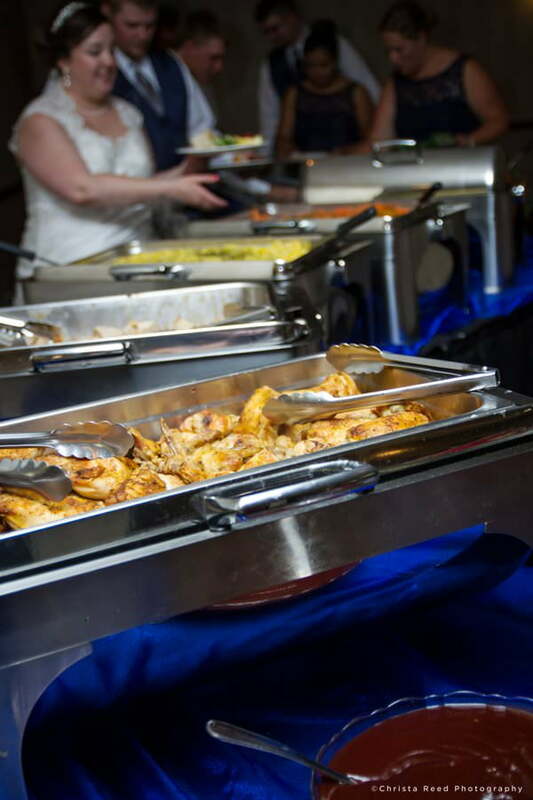 Thank you to the Grand Palms Event Center!